Recycled paper raw material contains a lot of different type of harmful material (glass, sand, staples, plastic, metal, styro foam etc.) that need to be removed from the pulp. Normal system (conventional) for this is High Density Cleaners and hole screening with 1,4 to 4 mm holes. 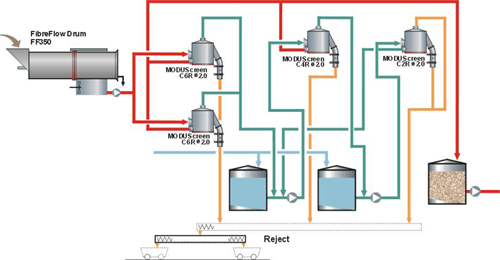 Problem for this system is that a lot of heavy and plastic material will enter further machines and tanks. This creates problems in further process. For this application was developed MODUScreen CR screen. 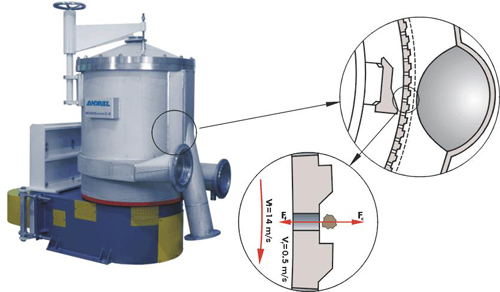 Screen has two functions: It removes heavy material from the pulp through junk trap system and light reject through light reject connection. MODUScreen CR is used various raw material: Old news print & magazines, old corrucated containers, mixed waste etc. 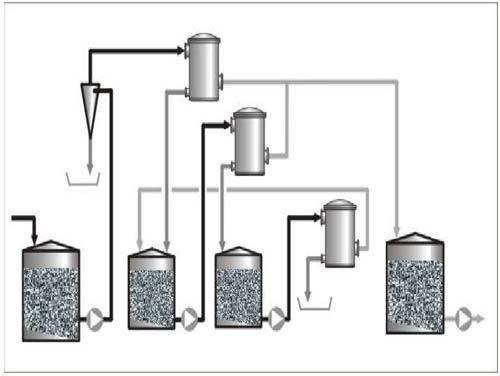 CR screen can be installed after low consistency pulpers (batch & continous). Originally screen was developed to be installed after Fibre Flow drum. Best result is archieved to remove all harmfull impurities (stickies, heavy & light reject etc.) when screen is installed after Fibre Flow drum. This combination is called FFD concept. Pulping / Coarse screening system with Andritz Fibre Flow Drum & MODUScreen CR = Fiber Flow Consept. Pulp is fed on top of the bottom plate. 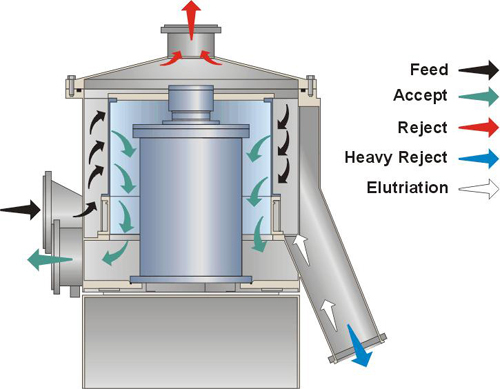 Accept pulp goes through the screen cylinder holes from out to in and accept is discharged from the accept connection. 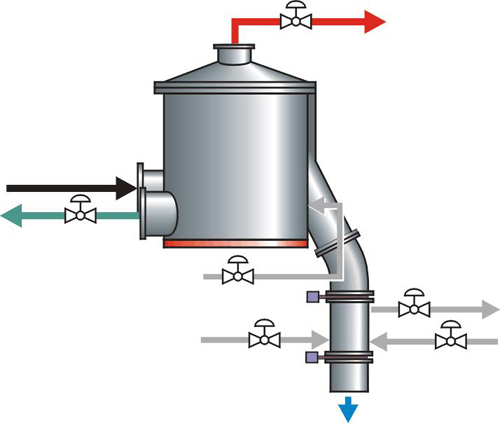 Light reject is transported to the upper part of the screen and discharged through reject connection to further stages or out of the system. At the same time heavy reject is collected to the junk trap pipe. Small amount (30 l/min) water is fed to this pipe to keep fibers away and for dilution of heavy reject collection zone.